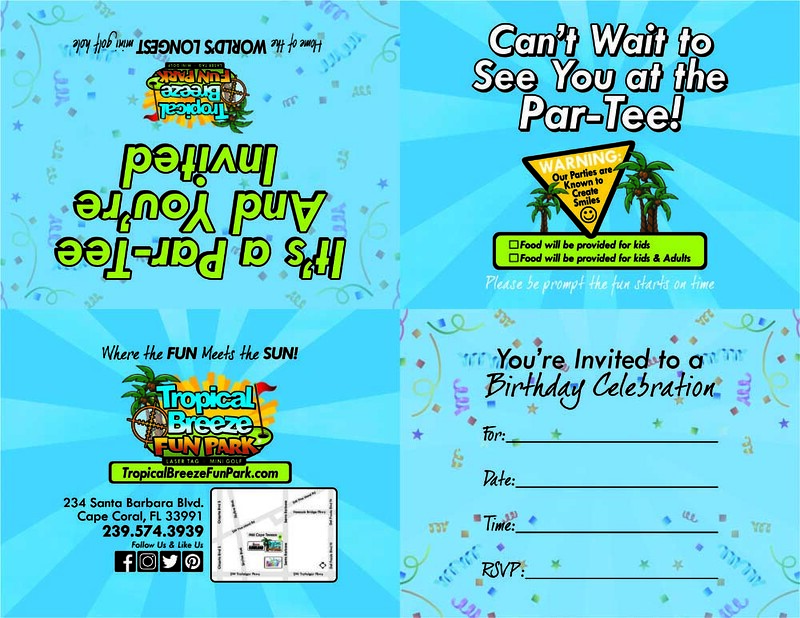 Check out different packages and Book your event now with Tropical fun Breeze Park, where fun meets the sun. Play 18 challenging miniature golf holes with all your guests! 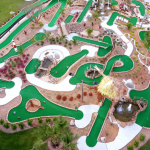 Enjoy the area’s most deluxe, beautifully-landscaped Tropical miniature golf course featuring cascading waterfalls, adventurous holes and the signature world’s longest mini golf hole. Your guests will battle against each other in a game of Extreme outdoor laser tag! A full hour on the battlefield with Adrenalin pumping missions that change every 5 minutes! Miniature golf and Extreme outdoor laser tag. Play on the area’s most beautifully-landscaped Tropical miniature golf course. 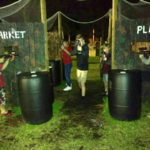 Your guests will then play against each other on the battlefield of Extreme outdoor laser tag! Thirty-Minutes of all different missions, Let the best team win! A dedicated party host to make your day extra special! So we are able to take care of everything! 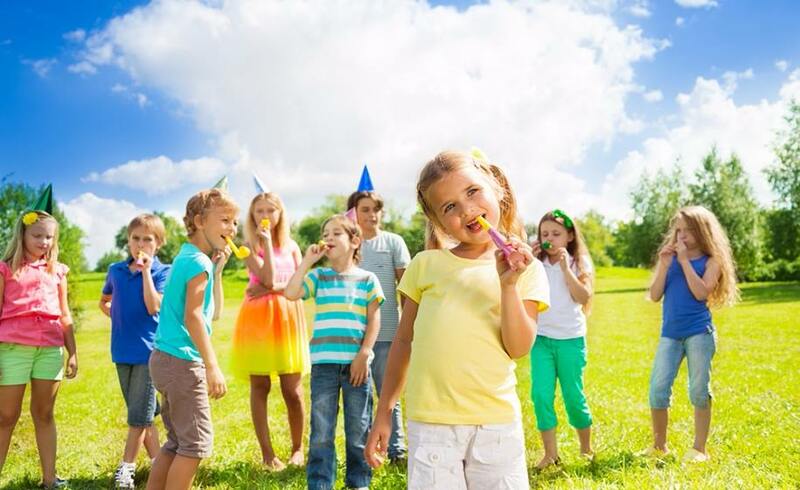 Parents of party guests can join the games for just $5.00! All parties are a 2 hour time slot. Please arrive 10-15 minutes prior to the start of your party. We start promptly at time booked. Parties on Friday, Saturday and Sunday , Last booking at 5pm. All parties must be booked a week in advance. All parties must have a minimum of 10 guests. Copyright © 2018 All Right Reserved, Tropical Breeze.